Today our guide will greet you outside the Arrival Hall of Beijing Capital Airport after you clear customs. A comfortable private vehicle will take you to the hotel, where the guide will help you with the check-in procedure. We will leave the remainder of the day free for you to have a good rest, since the 8-day China Golden Triangle tour ahead really demands a good physical condition. 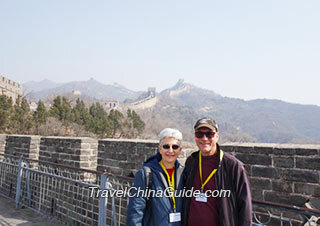 Start your private sightseeing tour with the famous Tiananmen Square this morning. You will stroll around the grand square for about half an hour and then walk north to the Forbidden City, which is the largest and best-preserved imperial palace in China. Here the splendid architecture, delicate decorations, grand halls and numerous treasures on exhibition vividly unveil us the mystery of royal life 600 years ago. Lunch is by your own arrangement, so you can find a proper restaurant according to your own preference. Our guide will be happy to offer you some suggestions. 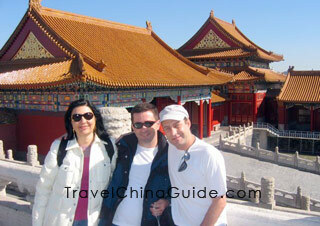 In the afternoon, you will visit the Summer Palace. Having been a luxurious royal park for about 150 years, the palace boasts typical Chinese architecture and a splendid landscape. If you go there in summer, you may feel pleasantly cool and comfortable when walking through the Long Corridor. This morning you will be guided to have an excursion to Mutianyu Great Wall, the first highlight of your China Golden Triangle tour. The round-trip cable car is arranged for you. As an essential part of the Great Wall, Mutianyu is well-known for its pleasant landscapes and unique structures. As the restaurants in the mountain area offer low-quality food with poor service, we would like to suggest that you have a big breakfast at the hotel or take some snacks along with you. If you prefer to take a short break and have lunch at a restaurant by yourself, our guide will be pleased to help you find a better one. While returning downtown, we will drive by the Bird's Nest (Olympic National Stadium) so that you get a chance to appreciate its unique appearance. The Temple of Heaven, which was the royal holy altar from the 15th century to the early 20th century, definitely deserves your visit this afternoon. After that, we will transfer you back to your hotel. Today the whole day's sightseeing is by your own arrangement. You can store your luggage with the hotel concierge after checking out in the morning. We have some suggestions for your further exploration of this city. From the hotel, you can take a taxi at a cost of CNY10 to get to Jingshan Park, which is an ideal place to get a panoramic view of the Forbidden City. Exiting from Jingshan West Gate, you can head north for 70 meters to Xibanqiao bus stop on Jingshan West Road. Take bus No. 5 and get off at Gu Lou (Drum Tower) stop, and then walk for 5 minutes to the Skewed Tobacco Pouch Street (Yan Dai Xie Jie), which is one of the oldest Hutongs in Beijing. 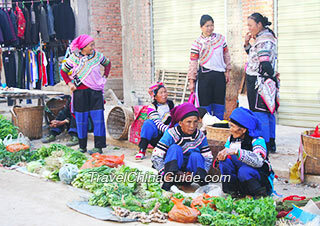 Here you can experience the old capital's culture and local people's traditional lives by visiting the narrow alleys. If you are interested, you may take a special rickshaw ride through the various Hutongs and appreciate the lively street scenes with dazzling goods and handicrafts for sale. You can also find a good eatery to have your lunch there. If it is approaching 16:00, we suggest you take bus No. 82 from Gu Lou (Drum Tower) stop and get off at Nanheyan stop to return to the hotel for your luggage. If it is still early in the afternoon, you can take a taxi by only spending CNY10 to the Lama Temple, Yonghe Palace, which is the largest Buddhist temple in Beijing. After visiting the site, you can take a taxi back to the hotel at about CNY18, or you can find Yonghegong subway station to take Subway Line 5 (Songjiazhuang Direction) for 5 stops to arrive at Dong Dan, change to Line 1 (Pingguoyuan Direction) for 1 stop, get off at Wangfujing and then leave from Exit C (Southwest Exit). Walk westward for 420 meter and turn right, cross the underground passage and walk straight ahead to Nanheyan Street. Walking for around 200 meters to the north will get you back to the hotel. After fetching your luggage, you can take a taxi to Beijing West Railway Station at a cost of about CNY22.00. 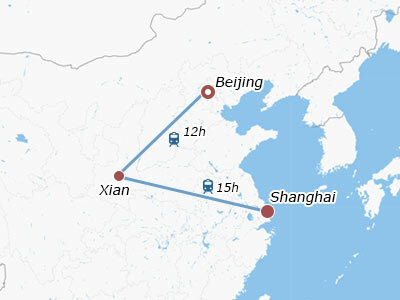 Tonight you will ride an overnight soft sleeper train to Xi'an by yourself. Our guide will forward the train tickets to you the day before. Considering traffic jam, we usually suggest clients go to the railway station at least two and half an hour before departure. Taking a train in China is a special experience which will make your journey more interesting and exciting. Here we would like to remind you that the food on the train is not nice and a little bit expensive, so we kindly suggest you have some Chinese or Western snacks for dinner before boarding the train. If you have any doubt, please feel free to ask our guide for help beforehand or to call our office, which is accessible working 24 hours a day, seven days a week. In the soft sleeper train that we have arranged, there are private compartments and each one has four bunks, two upper and two lower. Here are some tips about the train baggage allowance for your reference. 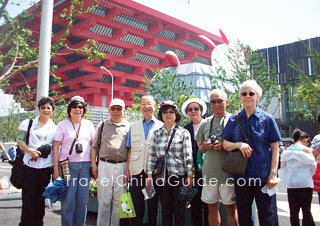 Upon your arrival in Xi'an in the early morning our local guide will meet you at the platform of the railway station. A comfortable private drive will take you to your hotel, which is well located in the city center. Breakfast is by your own arrangement. You may find many restaurants near your hotel or you could ask your guide for some suggestions. After a short break, start the guided sightseeing today. 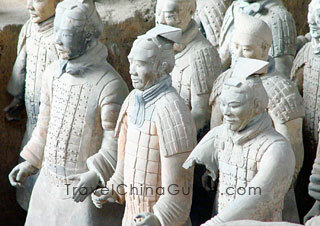 The splendid Terracotta Warriors and Horses Museum will give you an amazing experience this morning. At present there are 7,400 warriors and horses excavated and exhibited in the three pits and the exhibition hall. You can see these full-scale statues made 2,200 years ago quite close up. Lunch will be arranged by yourself. With the help of our guide, you can find a cozy restaurant near the warrior site. Get back downtown and continue the visit to see more invaluable historical treasures at the Provincial History Museum. Then you will move on to Xi'an Museum and the Small Wild Goose Pagoda. The pagoda was initially built over 1,300 years ago during the Tang Dynasty to house sutras brought from India. Today the whole day's sightseeing is by your own arrangement. This morning, we suggest you visit the City Wall. From your hotel you can walk south to the South Street, and then go southward for about 520 meters to arrive at the South Gate, where you will find the entrance to the City Wall. First built 1,300 years ago as a barrier of defense to protect the capital city Chang'an (today's Xi'an), the wall was reconstructed 600 years ago when the Ming Dynasty was established, and it has almost kept its structure till today. After that, you can walk northward for 15 minutes from the South Gate back to the city center to visit the landmark of Xi'an: the Bell Tower and the nearby Drum Tower. Behind the Drum Tower is the prosperous Muslim Street, where you can purchase some speical handicrafts at various shops and stalls and taste local snacks along the street. You may also buy some fast food or fruit for your train journey tonight. Again, the train tickets will be given to you by the guide the day before. As it is usually very difficult to take a taxi in Xi'an, we would suggest you take a bus to the Railway Station. From the hotel you can walk to the North Street, turn left and go south for about 900 meters and turn right to reach Bell Tower Station at the West Street. There you can take Bus No. 251 (or No. K205, No. 206) to the terminal, the railway station. If you are lucky enough to hail a taxi, the cost is about CNY12 to your destination. Bid farewell to this ancient city and leave for Shanghai by taking an overnight soft sleeper train on your own. Once the train arrives at Shanghai Railway Station, please take all your belongings and follow the other passengers to get off the train. There is an English signpost to the exit to the South Square in the underground passage within the station. We suggest you look for it and follow the directions. As soon as you exit, you will find the subway line 1 at the square to take you to the Golden River-view Hotel for only one stop. It takes about 15 minutes by walk and 8 minutes by taxi from the railway station to the hotel. Breakfast is by your own arrangement. There are many restaurants around the station for you to choose from. In Shanghai we only reserve the hotel accommodation for you. Since the transportation there can be easily accessed, and nearly all of the young people can speak English, it is a good opportunity for you to have a bit of an adventure and explore this modern metropolis by yourself. 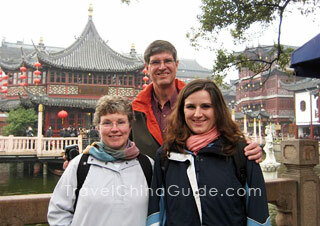 Our suggestions for the day trip are the Shanghai Museum, Yu Garden, the Bund and Nanjing Road. It costs about CNY20 from your hotel to the Shanghai Museum by taxi, which exhibits over 120,000 pieces of historical collections covering bronzes, china, paintings, statues, jade, ancient coins and furniture. Leaving the museum, you can hail a taxi again at a cost of about CNY15 to arrive at Yuyuan Garden to appreciate the most classical private garden built in the 16th century. By the garden is a lively market, where you can sample some local specialities such as steamed dumplings, small wontons and fried pancakes for your lunch. Afterwards, you can take bus No. 42 from Laobeimen Station (Old North Gate) for one stop or just walk to the Bund. At the waterfront on the west bank of Huangpu River, the Bund has a row of historic western-style buildings, so it is praised as 'a museum of international architecture'. Walk to Chenyi Square on the Bund, and then cross the street and you will find the Peace Hotel on East Nanjing Road in front of you. Walk straight along East Nanjing Road for about 1000 meters and you will find a bustling pedestrian street, where there are many shopping malls, international brand stores, and Chinese and Western restaurants. After that, return to the hotel by taxi at a cost of about CNY20. After breakfast this morning you will check out from the hotel and go to the airport for your homeward flight on your own. Your Golden Triangle China tour for 8 days will be pleasantly concluded. Please be aware that there are two airports in Shanghai: Pudong International Airport (PVG) and Hongqiao Airport (SHA). Of course, the most convenient way to the airport is by taxi. If you go to Pudong Airport, the taxi fare is about CNY150 to CNY200. You can also take the subway. First, you need to walk to the subway station at Hanzhong Road, take subway Line 1(Xinzhuang Direction) to People's Square, and then transfer to Line 2 (Pudong Airport Direction) to Pudong Airport. If your flight takes off from Hongqiao Airport, the whole ride by taxi will cost you CNY50 to CNY60, or you can take subway Line 12 (Qixin Rd. Direction) to South Shaanxi Rd. Station, and then transfer to Line 10 (Hongqiao Railway Station Direction) to Hongqiao Airport. The subway can reach both terminal 1 or terminal 2, please choose the right stop to get off in accordance with your departure flight. Hope the information is helpful to you. We hope you a nice journey home. Do I need a 144hr transit visa for Shanghai? I am staying overnight in Shanghai before embarking on a cruise to Hong Kong and beyond (approx. 36 hours in Shanghai). Do I need a transit visa? if I need one, how do I get one? can I apply at Shanghai Airport? or do I need to apply online? Is there a cost? If you come to Shanghai from a third country/area, then you can enjoy the 144 hours visa free policy. First, tnform the carrier when boarding. Then fill an Arrival/Departure Card and apply for the 144-hour visa-free stay permit upon arrival. After that, claim the luggage, go through the customs and leave the airport. Traveling direct from uk to Beijing to cruise four days later and fit home from Singapore. The site say's it "includes four hours of rest in room / unlimited rest lounge / free snacks and drinks / free Internet access and shower. The T3 Store at the Capital Airport Hotel provides the resting place on behalf of Air China"
Well, I only find there are free lounges for first-class passengers. You are suggested to connect with Air China, here is their number: 1-800-882-8122 and the fax is 1-310-322-1133. Hello I am Italian citizen going to visit Shanghai for 5 days, do I need visa? If you will go with the purpose of traveling, an L visa is needed and it is best to apply for one in advance. Do we have enough time in 6-7 hours at night to make a train ride to downtown Shanghai and walk around and eat then back to Pudong Airport before midnight? Ur time can be enough to have a quick visit. I suggest you take the Maglev to Longyang Road, then subway line 2 to East Nanjing Road (no more than 25min in total). U can roam around Nanjing Road Pedestrian Street for 1-2h, then walk 10min to the Bund for a visit and enjoy the Huangpu River. The way back can be to take a taxi in case subway is out of service.